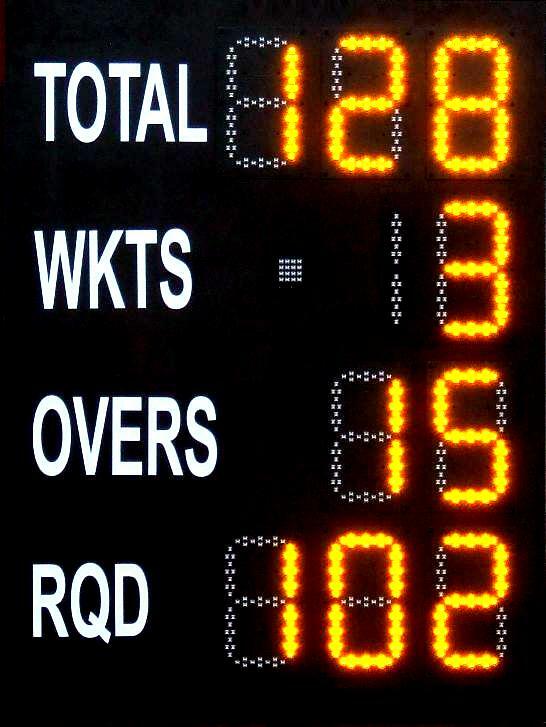 A fantastic and easy way to display the score for small or junior cricket clubs. Ideal for those matches in the park. Fully compatible with our 32 digit system. High visibility amber 8 inch digits which can be seen from over 100 metres distance. 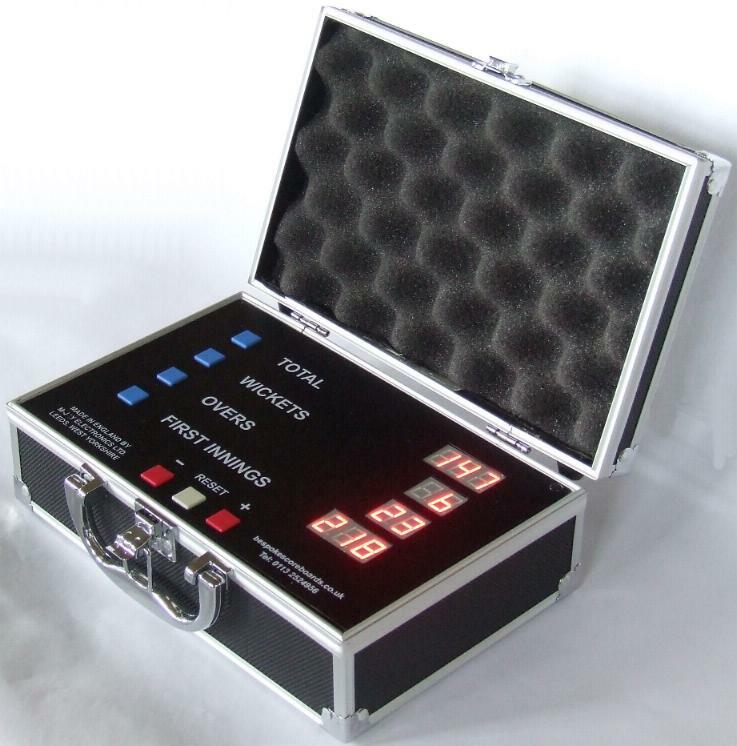 Can also be used as a repeater scoreboard with our 32 digit system.